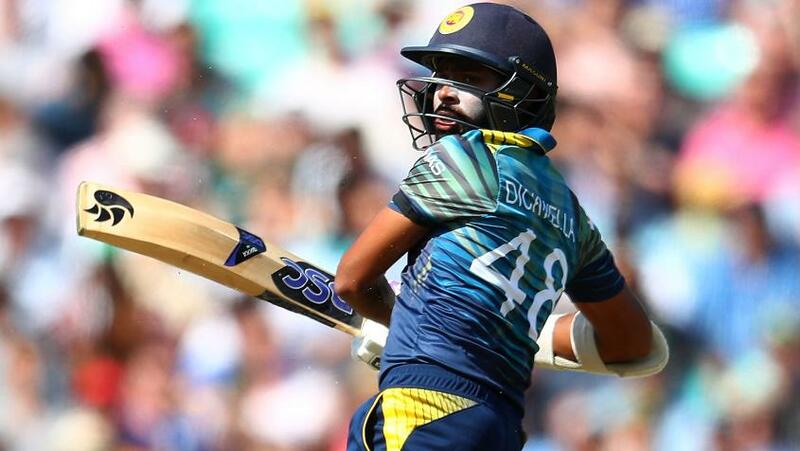 Niroshan Dickwella of Sri Lanka has been fined 30 per cent of his match fee and received two demerit points for breaching the ICC Code of Conduct during the first One-Day International against Zimbabwe in Galle on Friday. Dickwella was found to have violated Article 2.1.1 of the ICC Code of Conduct for Players and Player Support Personnel, which relates to “conduct that is contrary to the spirit of the game”. Friday’s incident happened in the seventh over of Zimbabwe’s innings when Dickwella, who was keeping wicket, after gathering the ball, held it near to the stumps and waited for the striker Solomon Mire to leave his crease. After an unsuccessful attempt to stump Mire, Dickwella waited for another opportunity to get the batsman out long after he had completed his stroke. After the match, Dickwella admitted the offence and accepted the sanction proposed by Chris Broad of the Emirates Elite Panel of ICC Match Referees and, as such, there was no need for a formal hearing. All level 1 breaches carry a minimum penalty of an official warning, a maximum penalty of 50 per cent of a player’s match fee, and one or two demerit points. Dickwella had come into this match with five demerit points against his name. As such, he is now on seven demerit points and pursuant to Article 7.6 of the Code, if he reaches eight or more demerit points within a 24-month period, they will be converted into four suspension points and he will be banned. Four suspension points equate to a ban from one Test and two ODIs or two T20Is, two Tests or four ODIs or four T20Is, whatever comes first for the player. In February this year, Dickwella had been suspended for two limited-over internationals after his accumulated demerit points had reached five following two breaches in a space of two weeks. The charge was laid by on-field umpires Ian Gould and Ruchira Palliyaguruge, third umpire Nigel Llong and fourth umpire Ranmore Martinesz.